Styla technology enables online retailers and brands to create beautifully designed and fully shoppable online magazines. From these, clients can not only gather inspiration but also make purchases with one click. Styla enables users to create impressive and high functionality magazines. Shoppers can see an overview of all posts on a single page before buying products directly without leaving that page. For marketers, Styla.com means a longer average length of time spent on the company’s website, but also a comfortable shopping experience via pop-up “add-to-basket." Styla integrates with over 25 e-commerce platforms such as Magento, OXID, Demandware, Shopware, Shopify, Prestashop or commercetools. It is also possible to integrate any custom shop system via API. This means that nearly every online retailer and brand can easily combine products from their online shop and content into a fully shoppable magazine with Styla.com. There are currently no reviews of Styla.com. Integrate products into an online magazine and let customers shop from there directly. 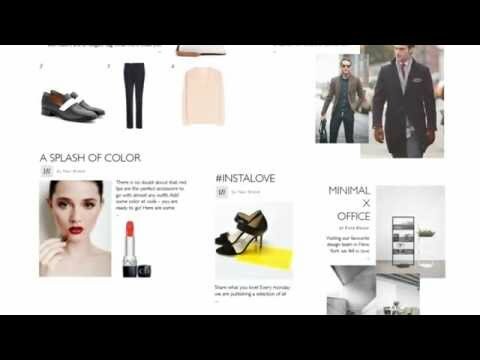 Create shoppable content within minutes. Styla requires no layouting skills. Customize the style of your online magazine and adapt it to your website design. Below are some frequently asked questions for Styla.com. Q. What type of pricing plans does Styla.com offer? Q. Who are the typical users of Styla.com? Q. What languages does Styla.com support? Q. Does Styla.com support mobile devices? Q. Does Styla.com offer an API? No, Styla.com does not have an API available. Q. What other apps does Styla.com integrate with? Q. What level of support does Styla.com offer? Q. Which apps is Styla.com compared to most often?